for work performed on Utah construction projects. Complete & review your Utah lien document for free in 10 minutes or less. Utah is a state that is booming with both residential and commercial construction. It is also a state that is seeing more and more instances of non-payment for work performed on those construction projects. Luckily, the Utah construction lien law allows those who work on a property to file a construction lien on the job site to protect their receivables. To that end, LienItNow.com provides online mechanics lien forms specific to Utah to help contractors, sub-contractors, and suppliers secure the payment for work on the job. In three simple steps, complete your Utah mechanics lien on your own time in only 10 quick minutes. Once a time-consuming process for construction companies, LienItNow.com makes filing your mechanics lien faster and easier than ever. LienItNow.com can also help you create bond claims, pre-lien notices and lien releases. What is a Utah construction lien claim? Utah mechanics lien law statutes provide broad mechanics' lien rights to contractors, subcontractors, and all persons performing any services or furnishing or renting any materials or equipment, including licensed architects and engineers who have rendered professional services on a project. Lien rights are a great benefit for those who completed private and government projects and have not been paid. All persons who have a direct contract with a project owner are deemed to be “general contractors” and all others are deemed to be “subcontractors”. Material supplies are entitled to liens, and projects by contractors subcontractors are also lienable. A Utah mechanics lien filed with regard to work performed on a privately owned property will attach to and encumber the fee simple ownership of the property. The strong protections provided by Utah's construction lien law is notable: in Utah, the right to file a construction lien can not be waived or limited by contract. A provision of a contract purporting to waive or limit construction lien rights is void. But at the same time, the lien law must be strictly adhered to: any failure to comply with the requirements may result in the loss of lien rights. One of the most important requirements is that notice of a lien filing be given to the property owner or owner's company promptly after recording. Who can file a Utah construction lien Claim? Contractors as well as subcontractors, sub-subcontractors, and suppliers including architects and engineers may file a Utah construction lien. Are pre-lien notices for a Utah construction lien Claim required? Everyone, regardless of the tier in which they fall, must file a “preliminary notice” of their involvement on the project to preserve their Utah mechanics lien rights. These notices provide the contractor or owner with notice of who is performing work on the job, (as well as the bank or title company, if notice to them is necessary), as well as who is providing materials. A Utah preliminary notice must be filed within 20 days after commencement of the claimants work or the date of which it first furnishes materials or equipment or, if later, 20 days after the filing of a notice of commencement. Generally, Utah's online construction registry will email if anyone files a preliminary notice. The law does not differentiate between who must file a preliminary notice: a preliminary notice must be filed by an architect within 20 days in the same way that a preliminary notice must be filed by suppliers within 20 days. Preliminary Notices are required for both private and public construction projects. Amendments to Preliminary Notices must be filed within ten days of the owner's filing of a Notice of Intent to Obtain Final Completion. When should a Utah construction lien Claim be filed? - in situations where the original contractor is terminated prior to completion, and no certificate of occupancy or final inspection are issued, the last date on which substantial work was performed under the original contract. How much does it cost to file a Utah construction lien Claim? LienItNow.com prepares, files and serves Utah construction liens. For pricing information, please visit our prices page. Do I need a written contract in order to file a Utah Mechanics Lien Claim? No. Oral contracts are sufficient if you have sufficient documentation to show the existence of an agreement or that you performed the work for which you are attempting to file a Utah Mechanics Lien Claim. How does filing a Utah construction lien Claim help me get my money? On a private project where one performed work on the job, the Utah construction lien places an encumbrance on the property that makes it difficult to resell or re-finance the property without first removing the construction lien. LienItNow.com prepares and serves Utah Stop Notices. A Stop Notice is a notification that has the ability to enhance the effectiveness of a mechanic's lien. A Stop Notice, or a notice to withhold funds on projects by the contractor, is sent to the company that is financing or funding the construction funds for a project. Once that company receives the Stop Notice, that company has notice that it should withhold sufficient money to satisfy the stop notice claim. The purpose of the Stop Notice is to provide the lender, financiers or funders of the construction project notice that there is money owed to a contractor, subcontractor or supplier so that an inquiry can be made as to why that money is not being paid. What is a Utah Amendment to a construction lien Claim? 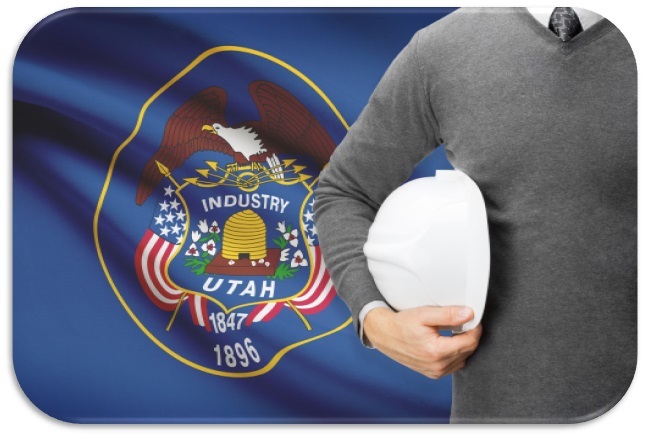 LienItNow.com prepares, files and serves Utah Amendments to construction lien Claims. Amendments to a construction lien claim are often needed when something about the claim changes. Common changes to a lien claim are increases or reductions in the amount due to the lienor, or a change to the last date of work. When should a Utah Discharge of construction lien claim be filed? LienItNow.com prepares, files and serves Utah Discharges of construction lien Claims. Once the lienor has been paid the amount contained in its lien claim, or has come to an agreement that requires the lien claim to be removed from the property records, a Discharge of construction lien Claim should be filed. How much does it cost to file a Utah Extension of a construction lien Claim? LienItNow.com prepares, files and serves extensions of construction lien Claims. All lien claims expire after a certain period of time, and filing an extension of the construction lien claim prolongs the expiration date. Utah law, however, does not permit an extension of construction lien claims. Can I file a Bond Claim on a Utah Project? LienItNow.com prepares, files and serves Utah Bond Claims. Bond claims can only be filed on a project where the owner, contractor or subcontractor has obtained a payment bond to ensure that every contractor receives payment for the work performed on the Project. The payment bonds issued by sureties for construction projects have specific timing requirements, but most require claimants to submit claims against the bond within sixty to ninety days from the claimants' last date of work. Bond claims are as or more effective than a lien claim because the payment bond acts as a guarantee that payment will be made for work properly completed. Do I need to file a Pre-Notice to make a claim against a Utah payment bond? LienItNow.com prepares, files and serves Utah Pre-Notices for bond claims. Depending on the terms of the payment bond, pre-notices may or may not be required. LienItNow.com recommends that, prior to or immediately after starting work or delivering materials to a project, subcontractors and suppliers, file a pre-notice that it is a potential beneficiary of the construction project's bond.